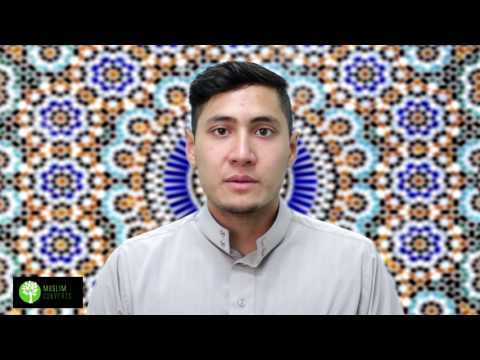 In this lesson, we’re going to go over a list of some misconceptions about Shi'I Islam and correct them. This is one of the most common misconceptions about Shias. The accusation is that Shias believe that there were Qur’anic verses where the names of the Imams of the Ahl al-Bayt (as) were explicitly mentioned but were censored out sometime after the death of the Prophet (s). But this is false. Mainstream Twelver Shi’ism throughout history believed in the integrity of the Qur’an. That is, from the earliest days, scholars like Shaykh al-Saduq who died in 991 AD believed that the Qur’an we have in our hands today is the same Qur’an that was revealed to the Prophet Muhammad (s) with nothing added, subtracted or changed from it. Scholars who believed the Qur’an had verses subtracted from it were a small minority among Shias and Sunnis. Their views, however, have systematically been refuted throughout history. They do not represent either Shi'ism or Sunnism. The Islamic term for the distortion of the Qur’an is known as Tahreef al-Qur’an. This is another common misconception. Some Muslims believe that Shia Muslims worship Imam Ali (as). That is, they believe that Ali is God or Allah. This is not correct. Shias believe that there is one God only. Shia Muslims believe, just like the Qur’an teaches, that God is not human and that no human can be God. Allah transcends absolutely everything. In fact, Shias go as far as saying that God transcends all space, time and matter. In this sense, Shias state that it is impossible for one to see God with the physical eye. This obviously contradicts the notion that God can become a human being. It is, instead, extremists and Wahhabis who believe that God has human or physical attributes, such as hands and feet, or that He is literally sitting on a chair. Shia Muslims believe that Imam Ali (as) and the rest of the Ahl al-Bayt (as) were human beings only and that they were appointed by God on this earth to guide humankind and the Muslim community. In short, like the Prophet Muhammad (s), Imam Ali (as) was a servant of God and that he worshipped Him. Shias do not worship stones in their prayers. What they do use is a turba or a piece of baked clay that they prostrate on in their prayers. The reason for this has to do with Islamic ritual laws. In Shia Islam, we are not allowed to prostrate on things that, for example, can be eaten or worn during prayers. This ruling is there in order to prevent idol worship or monotheism. According to the school of Ahl al-Bayt (as), only earth, leaves, stones or other permissible natural elements can be prostrated on. This is the way that the Prophet Muhammad (s) and his Ahl al-Bayt (as) prayed. This is also not correct. Shias, like other Muslims, believe in the 5 daily obligatory prayers. What they do, however, is that they combine the Dhuhur and Asr Prayers, as well as the Maghrib and Isha prayers. In this way they allocate three specific periods throughout the day to pray, but in those three periods they pray the 5 daily prayers. Shias believe that one is free to combine one’s prayers in this way, or pray them separately. However, according to all Muslims, one can combine one’s prayers during travel time or in days of sickness. Does this mean that one is praying 3 times a day? Absolutely not. Shias are just simply more liberal with their attitudes at combining prayers given that this was practiced by the Prophet Muhammad (s) and the Ahl al-Bayt (as). This is another misconception. Shias believe that Sunnis are Muslims given that they believe in the Shahada. If you recall, the Shahada, or Islamic creed, is the testimony that there is no deity by Allah alone and that Muhammad is His chosen and final messenger and prophet. As Sunnis believe in the Shahada, Shias consider them as Muslims. Shias believe that Sunnis are ritually pure and that their food is permissible. They also believe in the permissibility of marriage between Shias and Sunnis. Although Shias may disagree with Sunnis on certain topics, these differences are by no means a justification for declaring Sunnis as non-Muslims. Like other Muslims, Shias believe that Zakat is obligatory. According to Shia Islam, if a person knowingly rejects the obligatoriness of zakat, then he or she may not fulfill the requirements of being a Muslim. The difference between Shia Muslims and others is that Shias don’t believe zakat can be paid in cash. They believe that zakat can only be paid through tangible material, like gold, silver or live stock among other things. If a person does not own these things, then they are not obligated to pay it because they don’t have the material to give in the first place. However, if they do have this material, then they need to pay zakat on it. Misconception #7: Shias believe that the Angel Jibril (as) made a mistake as he was supposed to give revelation and prophethood to Imam Ali (as) and not the Prophet (s). This is false. No Twelver Shia scholar has ever believed in this. Misconception #8: Shias believe that the 12th Imam, Imam Muhammad al-Mahdi (aj), has been hiding in a cave for over a thousand years and when the time is right, he will come out of the cave and conquer the world. This is false. No Shia scholar has ever believed this. This false misconception was popularized by the 14th century anti-Shia cleric Ibn Taymiyya (d. 1328) for polemical reasons. Do Shias believe that the Qur’an has been changed? No, most major Shia scholars in history believed that the Qur’an we have today is the exact Qur’an that was revealed to the Prophet (s) with nothing added or taken out or changed in any way. Do Shias worship stones in their prayer? No, they use a turba (piece of baked clay) for their prostration as they cannot pray on things one can wear or eat - among other things. Do Shias believe Imam Ali (as) was God? No, they believe that he was a servant of God. Anyone who believes that Imam Ali (as) was God is not a Muslim according to Shia Islam. Do Shias believe that Imam Mahdi (aj) is living in a cave? No Shia scholar has ever been recorded to have believed in this. Do Shias consider Sunnis as non-Muslims? Shias believe Sunnis are fully Muslim.